Prevost opened a new Service Center in Houston. The Houston facility is a new construction building providing 5,400 sq. ft., including a service area with two drive-through bays. The service center is staffed with Prevost technicians, who are certified for bumper-to-bumper maintenance and repair for all Nova Bus vehicles and Prevost and Volvo Bus coaches, including Volvo engine and transmission. The facility is equipped with a controlled access fence, operational after hours, monitored by a security patrol and a video surveillance camera. The Houston Service Center is equipped with electrical hookups and is open Monday to Friday. 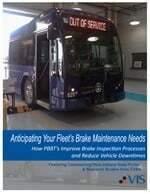 The Houston Service Center expands the Prevost Service Network, the most extensive service network in the industry. Other Prevost Service Centers are in South Plainfield, N.J.; Jacksonville, Fla.; Nashville, Tenn.; Dallas; Mira Loma, Calif.; Delta, British Columbia; Fort McMurray, Alberta; and Quebec City, Quebec.